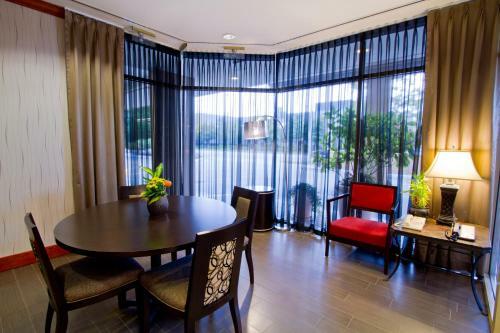 Situated off Highway 99, this Richmond, British Columbia hotel offers a complimentary airport shuttle service. 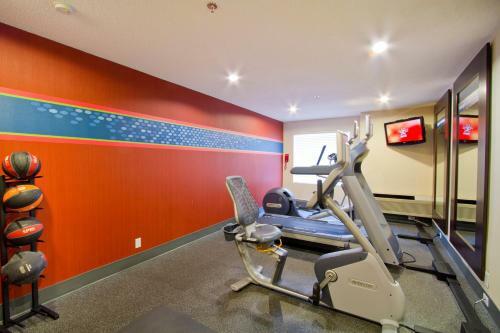 Bridgeport Skytrain Station is an 8-minute walk away and provides easy access to downtown. Free WiFi is provided. 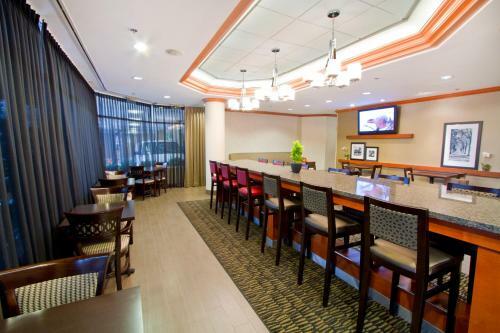 Hampton Inn Richmond is within walking distance of the city's retail district and several corporate headquarters. Have fun at River Rock Casino, which is located less one mile from the hotel. There are also several restaurants within one mile of the hotel. 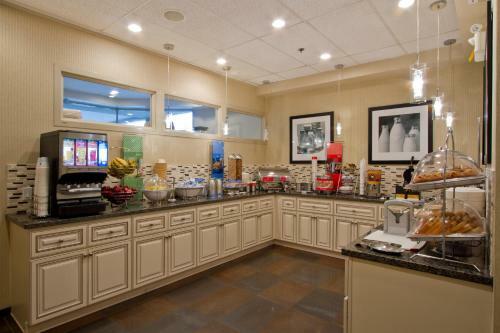 Wake up with Vancouver Hampton Inn's morning newspaper and hot breakfast buffet including eggs, sausage, and potatoes. Complimentary breakfast-to-go bags including fruit, granola bars, and muffins. 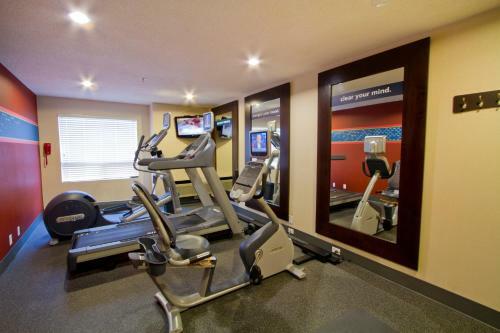 Enjoy access to the well-equipped fitness center and modern business center. 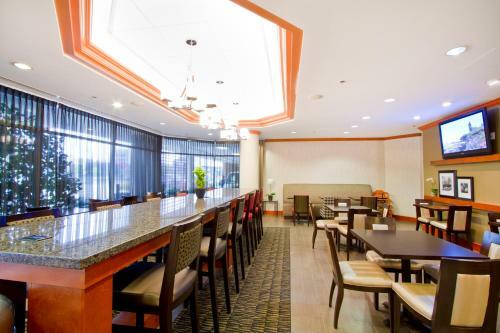 the hotel Hampton Inn - Vancouver Airport/Richmond so we can give you detailed rates for the rooms in the desired period.